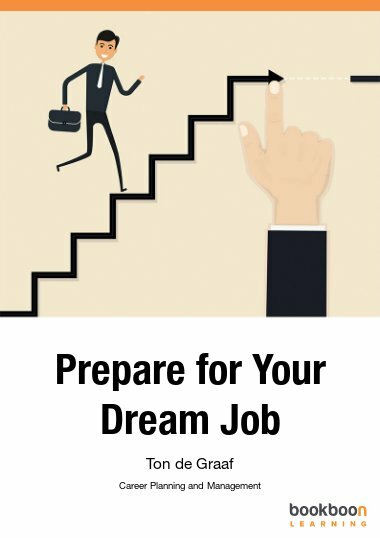 In this book you will find different techniques and strategies to figure out what your dream job might look like and how to go about landing it. It is not at all that easy to find a job that you really love and enjoy. In this book you will find different techniques and strategies to figure out what your dream job might look like, how to go about landing it, and turning it into a sustainable career that gives you immense satisfaction and a great sense of purpose. Based in The Netherlands Ton de Graaf coaches the next generation of global corporate leaders (Vice-President and higher). He has been coaching his clients from all over the world since he started his own executive coaching practice in 2004.